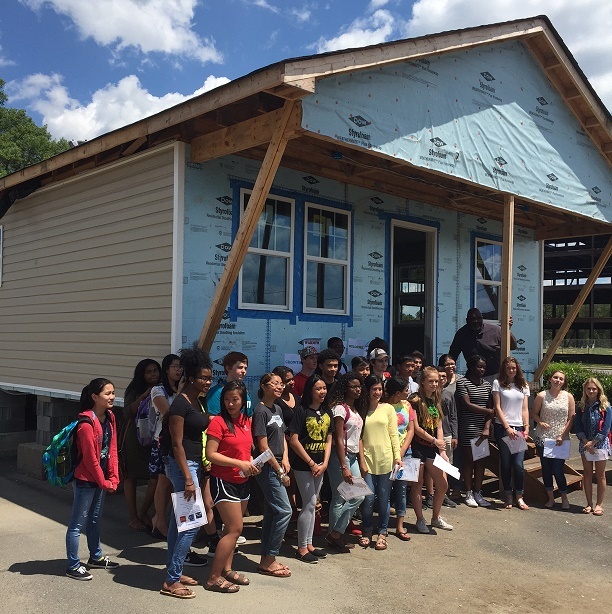 (April 29, 2016) Olympic dedicated its 8th Habitat for Humanity House on Thursday. METS School construction students build a Habitat home each school year in the Olympic parking lot as a classroom project with its teacher, Albert Ashley, who masterfully integrates authentic work into the classroom curriculum. Each year Olympic teams with its partners in the community to raise $100,000 in cash and in-kind. 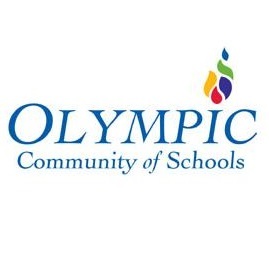 In 2011, Microsoft Corporation recognized this Olympic project as one of the six most innovative high school projects in the nation that help students develop 21st Century skills. METS senior Jenna Lane told the crowd who gathered for the Dedication, "It was hard work, but it's so fantastic to think that a house WE BUILT at Olympic will become the centerpiece for a family's most meaningful memories. It makes me proud."